You are here: Home » Blog » Book Fair Fiesta! 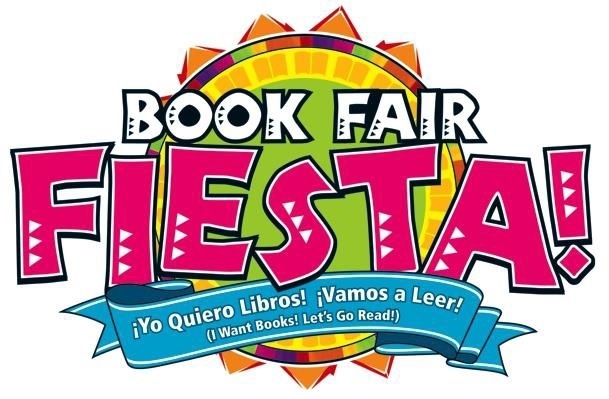 Spring Festival Book Fair – Saturday, April 26, 10:00 a.m. – 1:00 p.m.
Family Day/Night – Tuesday, April 29, 7:30 a.m. – 6:00 p.m. Regular Shopping – Wednesday, April 30, 10:00 a.m. – 4:00 p.m. Early Bird Morning – Thursday, May 1, 7:00 a.m. – 4:00 p.m. Closing Day – Friday, May 2, 7:30 a.m. – 11:00 a.m. The 2014 Book Fair is almost here! 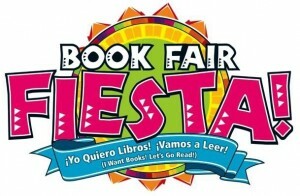 Our Scholastic Book Fair theme –FIESTA! is part of an exciting reading event that brings to school a wonderful selection of fun, engaging, and affordable books students want to read. Giving children access to good books and the opportunity to choose their own books will motivate them to read more. Like most acquired skills, the more children practice reading, the better they’ll get. This year we will be hosting an Online Book Fair that will open the week before the fair and continue for one week after the fair. As always, we will have extended evening hours during our Family Night, early morning hours on our Early Bird Day, and additional Saturday hours during our annual Charter Day School Spring Festival. With all these options, every student is sure to have the opportunity to purchase a new book! We will also be conducting a Used AR Book Donation Drive. Families can donate gently used AR books that will be used in our library so that children have access to more AR books to meet their quarterly reading goals. In order to ensure that our Book Fair runs smoothly, we are asking for parent volunteers to help work the fair during the school day. As a volunteer, you will be responsible for assisting parents and students in locating books, keeping the fair neat and clean and assisting the cashiers. Volunteers are needed daily, and will be scheduled in two-hour time blocks. If you are interested in volunteering, please contact Brooke Scacheri via email at jscacheri@ec.rr.com. Look for more details in the coming weeks, or visit our website at http://bookfairs.scholastic.com/homepage/charterdayschool.